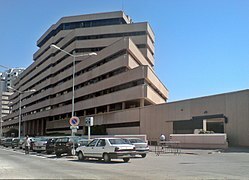 Tunisia’s central bank warned over the deteriorating state of the country’s finances and called for additional efforts to curb inflation after the first hike in interest rates since June. The current-account deficit reached an “unprecedented” 11.2 percent of gross domestic product in 2018, according to Governor Marouane El Abassi. The decision late Tuesday to raise the benchmark by 100 basis points to 7.75 percent was necessary to avert the possibility of double-digit inflation, he said. The North African nation is staring down challenges ranging from a currency that’s depreciated 18 percent over the past year against the euro to chronic worker strikes. Political infighting has hobbled government efforts to revive the economy since the 2011 uprising that ousted President Zine El Abidine Ben Ali. “They hiked interest rates quite a few times last year, and it just seems like the central bank is firefighting,” said Hamish Kinnear, Middle East and North Africa analyst at Verisk Maplecroft, a U.K.-based risk assessment consultancy. Finances are under strain because the country’s main sources of foreign currency such as oil and gas and phosphate production “have taken a hit since 2011,” he said. El Abassi also urged other measures, such as a crackdown on smuggling and non-competitive practices in some industries that have led to shortages of key goods. Tunisia needs to boost phosphate output and tourism levels to 2010 levels, he said Wednesday. The central bank chief said that he expected inflation to slow to under 7 percent by the end of 2019. It already eased slightly to an annual 7.1 percent in January. NextDo babies born on airplanes get visa-free travel across the world?